2003 issue 4 of the Japanese language magazine, Model Cars. Each issue has features on model kits, die cast cars, trucks, Hot Wheels, real cars and kit building. 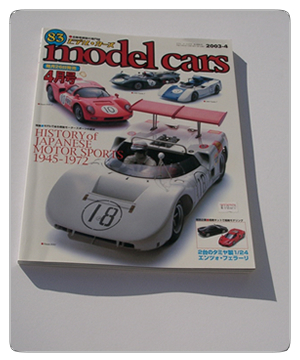 The feature article in this issue is the history of Japanese motor sports, 1945-1972.